As seasons shift into fall, lawn care needs to change from growth to maintenance. Fall is the prime time to set the stage for a beautiful lawn next year. The lawn care experts at Greenworks Lawn Care are proud to set Carmel and surrounding Indy-area homeowners up for success. If you’re ready to retire the landscaping tools for the season, our experts are prepared to take over. In addition to lawn care tips, our expert service will get you the lawn you’ve always wanted! Lawn aeration is not the only lawn care step you need to take this fall. Here are 3 additional lawn care techniques to ensure that the grass is greener on your lawn next spring. It’s important to be on top of leaf removal this fall. If left too long, leaves can suffocate the grass and cause fungal diseases. 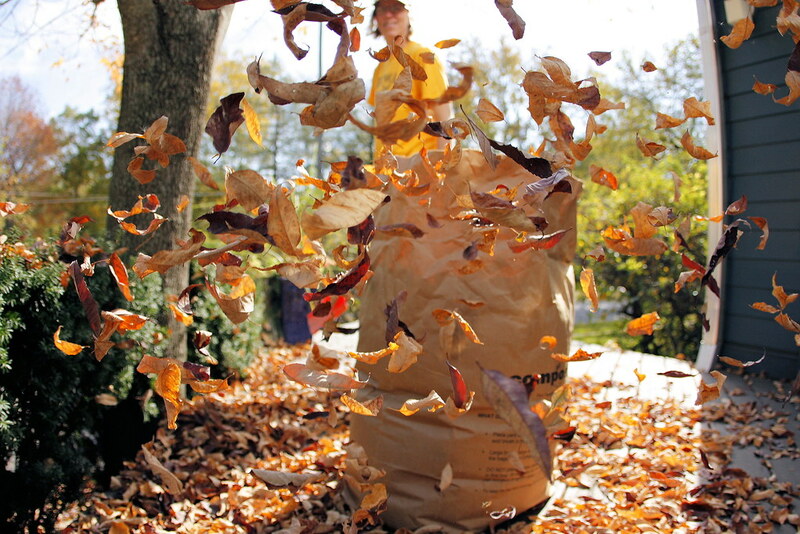 Smaller, more frequent raking makes the job more manageable and is best for the grass. After aerating your lawn, fertilize it. Applying an even, consistent layer of winterizing fertilizer prepares the grass for next year while deterring dandelion growth in early spring. Attacking springtime weeds is a process that starts now. The weather is just right in early fall to repair bald spots in your grass. Begin by raking the area to loosen the soil, and plant a lawn repair mixture. This mixture contains the perfect combination of grass seed, fertilizer, and organic mulch. Keep the area moist for 2 weeks, or until you see blades of grass growing. Our lawn care team is proud to serve our Indianapolis neighbors by keeping lawns green and thriving each year. Don’t stress about your lawn care to-do list; enlist the help of Greenworks. Contact us to make an appointment for fall lawn treatments today at (317) 663-0222.